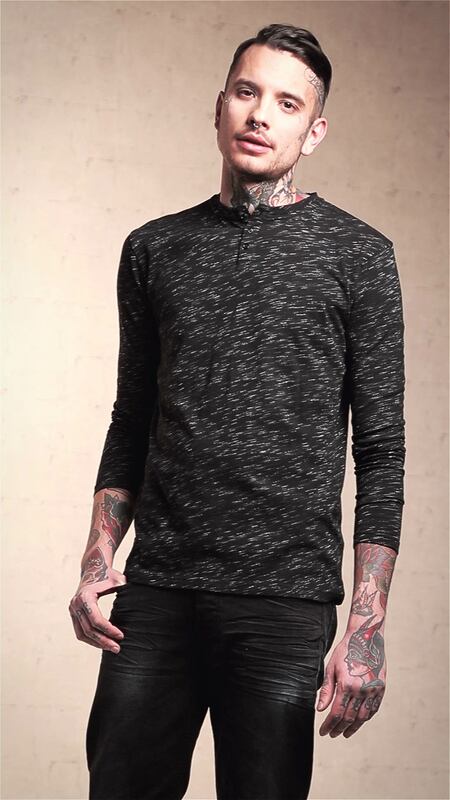 The Black Premium long sleeve by EMP is perfect, when you, for once, don't feel like wearing only black. The fancy yarn gives an extraordinary look, but the shirt is great for any situation. The hem of the shirt is comes with with logo embroidery and has a button facing.